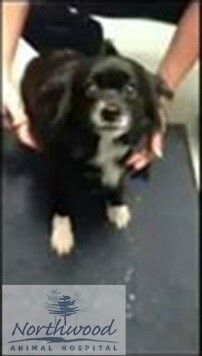 Ohli is a 4-year-old female spayed Pomeranian mixed breed dog. Ohli was traveling with his owners from Virginia to northern Michigan in April 2016. The dog presented to a veterinary clinic in Michigan with paralysis of all four limbs coupled with dyspnea and dysphagia. Upon thorough examination, four ectoparasites were found attached on the right pinna and dorsal neck area. What is causing the paralysis and what are these ectoparasites? 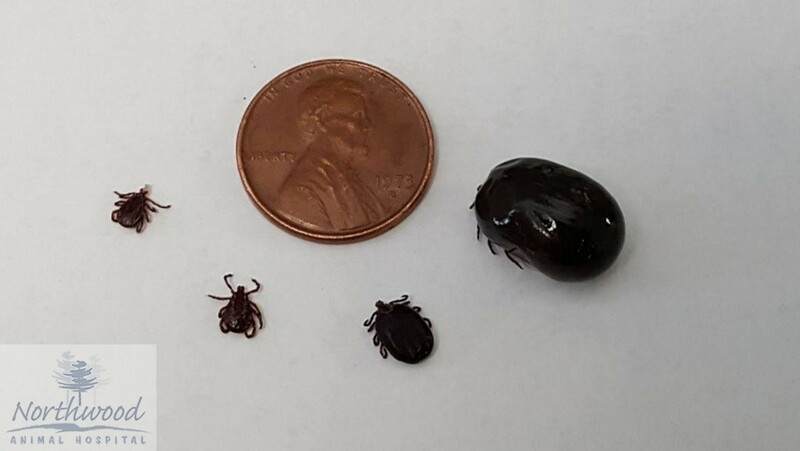 Tick paralysis caused by infestation with Dermacentor variabilis. Tick paralysis is a neurologic toxicosis resulting from unidentified toxins in tick saliva. In the United States, infestations with Dermacentor spp. are most often implicated for causing tick paralysis in animals and humans. 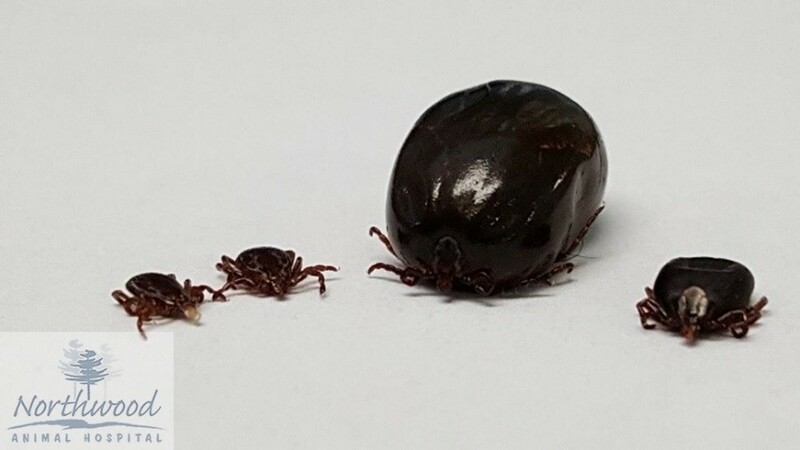 However, bites from other tick species including Ixodes, Amblyomma, and Rhipicephalus may result in paralysis of a variety of animals throughout the world. Prompt removal of all attached ticks alleviates the paralysis almost as quickly as the neurologic condition set in. Application of an approved acaracide helps prevent and control future infestations. Diaz, JH. 2010. A 60-year meta-analysis of tick paralysis in the United States: A predictable, preventable, and often misdiagnosed poisoning. Journal of Medical Toxicology 6: 15–21.